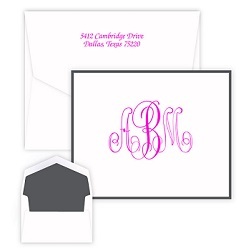 Our Chesapeake line of personalized stationery features many of our most popular designs in an even more generous 4.5 inch x 8.5 inch size. 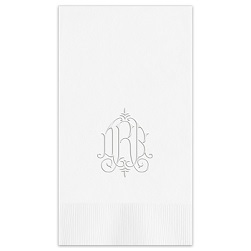 The Railroad Chesapeake Card has a classic look and enough power to take you anywhere. The bold raised-ink border and reversed-out white personalization on a flat panel card in triple-thick card stock is one of our most unique and enduringly popular designs. 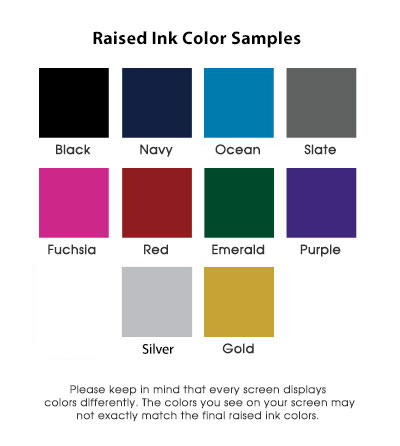 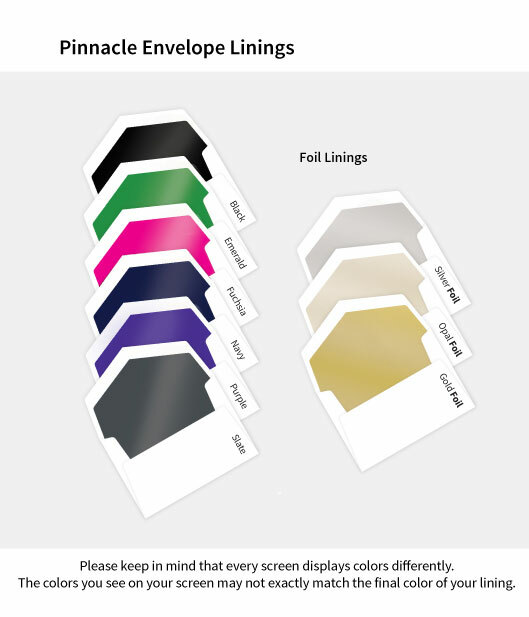 Choose a vertical or horizontal orientation, as well as from a range of attractive, raised-ink colors. 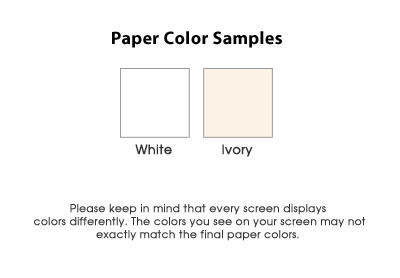 Also available in cotton paper. 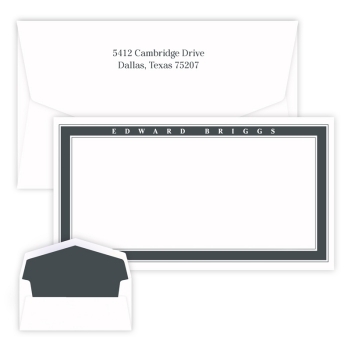 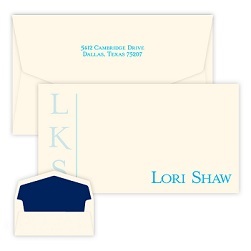 Options include a return address or envelope lining.